Machines called Mutoscopes offered quick shows for a penny from 1895 until as late as the 1970s, flipping cards to create the impression of a "moving picture." During the 1940s, the International Mutoscope Reel Company began to manufacture coin-operated vending machines that served up 5-1/4" x 3-1/4" cards for collectors, usually of "pin-up" material. These cards are widely collected today, and a wonderful source of inspiring low-brow artwork. 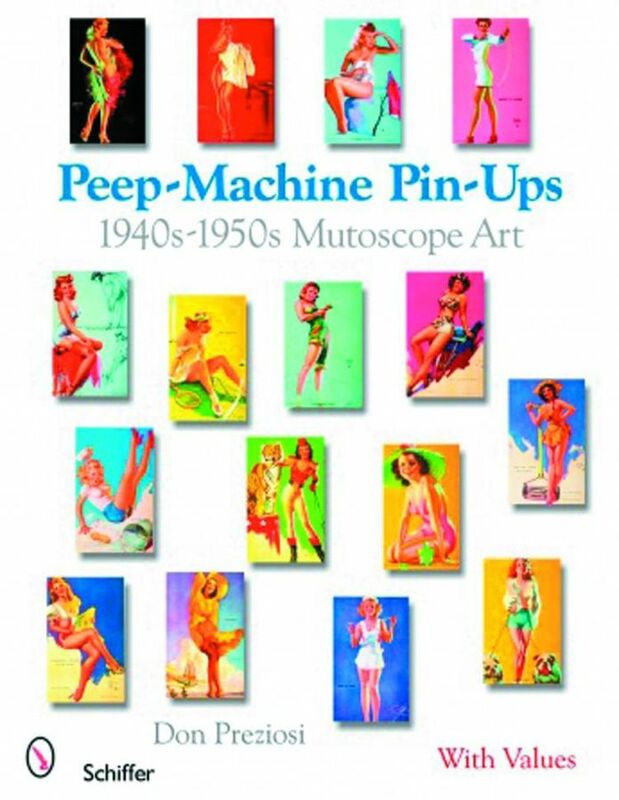 This comprehensive collection of more than 250 images includes work by noted artists Zoe Mozert, Earl Moran, and Gil Elvgren, among many other signed and unsigned, talented portrayors of the female form.